The table features an impressive mosaic top. 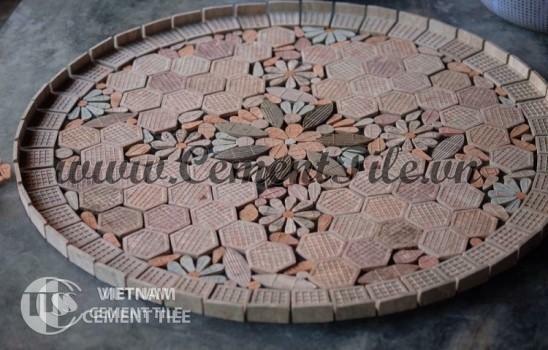 Leaf- shaped terracotta tiles are carefully chosen and arranged to create mosaic patterns. They are installed from the heart of the top and outward to the table sides. The terracotta border is quite thick, giving the top a heavy appearance. The top is weatherproofed for weather resistance.